UK retailer Iceland is launching a vegan chocolate pudding - which will be available in stores and online from April 8. The dessert joins Iceland's expanding range vegan options, including its No Bull Burgers, No Porkie Sausages, No Chick Strips, and pizza. 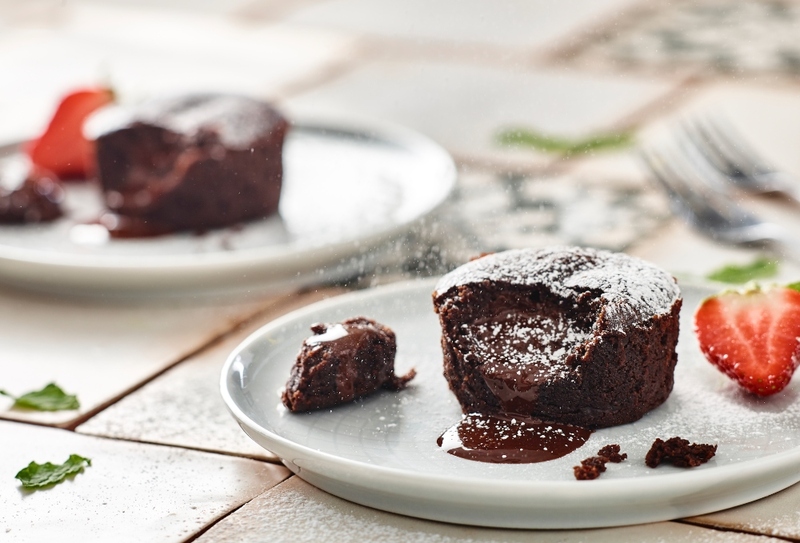 "The puddings are rich and spongy with an oozing chocolate center and will ensure that all sweet-toothed shoppers can get their chocolate fix," a spokesperson told Plant Based News. "Since the arrival of the cult favorite No Bull Burger, Iceland's vegan range has continued to expand with the arrival of two No Cheese Pizzas, No Porkie Sausages, No Bull Meatballs and more. The latest addition is sure to win over the entire nation." Speaking about the launch of its extended vegan range last year, Iceland’s Head Chef Neil Nugent told The Guardian: "We had tremendous success with the No Bull Burger and it's clear our customers want more from us.